Zim American-Israeli Shipping (“Zim”) was the predecessor company of the present Zim Integrated Shipping Services and was 49 percent owned by the Israeli government on 9/11. In 2004, the Israeli government sold their interest to the Israeli Ofer Brothers Group, which then became the sole owner of the company. On 9/11, Zim’s headquarters’ was in Haifa, Israel, and it had worldwide regional offices in Hong Kong, Hamburg, Germany, and Manhattan, New York/Norfolk, Virginia. Amazingly fortunate for Zim, the company moved out of the WTC around Sept. 4, 2001 and into a newly built office building in Norfolk, Va., even though they had a significant remaining lease obligation at the WTC. In fact, Zim picked this lucky move-out date about six months before they actually moved. An April 3, 2001 article in the Virginian-Pilot stated, “Zim expects to open the new (Norfolk) building by Sept. 4 and will eventually employ 235 people.” Coincidently, pilot hijackers Mohammed Atta and Marwan Shehhi were inexplicably in the Norfolk/Virginia Beach area in February and April 2001 at the time Zim was apparently in the search and planning process for their Norfolk building. Although Zim is reported to have had about 10 of its purported 20 remaining employees at the WTC on 9/11, none were killed or injured. However, other media reports stated that Zim had 35 sales and marketing people and additional computer personnel remaining at the WTC on 9/11, indicating Zim had a small percentage of its remaining staff at the WTC on 9/11. Zim’s remaining lease term had long been a point of debate, with 9/11 conspiracy debunkers claiming there was no evidence that Zim’s WTC lease term extended beyond their move-out date. However, a FOIA request to the Port Authority of New York-New Jersey by LetsRollForums.com resulted in a copy of the WTC tenant roster with lease expiration dates. The Port Authority document showed that Zim entered into a 10-year lease contract starting on March 1, 1996 and expiring on Feb. 28, 2006, or about four and a half years after Zim’s September 2001 move-out date. Confirmation that Zim’s remaining lease extended beyond their move-out date was further established by a Crain’s New York Business article on April 9, 2001 that stated, “Rising rent wasn’t an immediate concern [for Zim’s relocation decision] — several years remain on the lease”. Assuming Zim leased around 60,000 square feet at $30/square-foot at the WTC, its four and a half year remaining lease obligation would have been about $8 million. Strangely, Zim did not seem concerned about high leasing costs when it entered into a relatively long 10-year lease in March 1996, and there is also no evidence that Zim tried to sublease its space in the six months they were planning and building their new office building in Norfolk. This is not the expected action of a company that stated their reason to vacate the WTC was to cut costs. Fortunately for Zim any worry about their $8 million lease liability disappeared when the WTC came crashing down on 9/11. The burning question is why did Zim have to chance the added risks and challenges of fast tracking the development of their Norfolk office to guarantee its completion by Sept. 4, 2001 when it still had perfectly fine office space at the WTC with an existing four and a half year $8 million lease obligation? Zim’s public excuse that they moved to cut costs does not explain why it was mandatory that the Norfolk office be completed by Sept. 4, 2001. The fast track development process cost Zim more money and added unecessary development risks. What difference would six months have made (i.e., fast track vs conventional development time period) when they still had occupancy rights with a significant lease obligation at the WTC? Apparently, Zim knew they had to be out of the WTC before September 11th, and that is why they did everything in their power to ensure they would be out of the WTC and in their new Norfolk office by Sept. 4th. Elishu (Eli) Cohen, an Egyptian-born Jew, was involved in Israeli sabotage operations (false flag attacks) against American and British installations in Egypt in 1952. (Section B.2) Cohen’s sabotage operation became known as the Lavon Affair, a confirmed Israeli false flag operation against the US. Israel’s long history of false flag terror operations intended to blame Arabs is extensive and beyond the scope of this article; however, there are several confirmed and dozens of suspected operations since Israel’s creation in 1948. Israel’s skillful use of deep cover Arab operatives and other covert tactics listed above sometimes makes it difficult to link Israel directly to the false flag events. A case in point is where the CIA notes above that Israeli intelligence operatives working for Zim are “normally charged with objectives that require a long range approach where the Israeli Government can never admit complicity.” This covert activities concept is often referred to as “plausible deniability” and is used to remove any direct connection to the covert operation. Even though Israel’s fingerprints have been all over many false flag attacks in the past, the smoking gun has been eliminated by design. Thus, one has to look at all other evidence in likely false flag operations to assess involvement and guilt. There are many anomalies and contradictions in the backgrounds, timelines, and activities of the 9/11 pilot hijackers which indicate they could have been deep cover operatives in a broader 9/11 conspiracy. A good analysis of the many hijacker contradictions between the 9/11 Commission findings (or omitted facts), the FBI’s Hijacker Timeline, and various media reports can be found at Historycommons.org. A prime example of one of the many contradictions is that at least two hijackers ended up on alleged Zionist Jack Abramoff’s connected Suncruz gambling boat on Sept. 5, 2001 when the FBI Hijacker Timeline showed the hijackers elsewhere. The 9/11 Commission also ignored this evidence and much more in their report. The hijackers also did their best to leave behind an obvious trail of evidence that was easily found and quickly gave the FBI the support to tie them to the 9/11 operation stymying any substantive investigation of the many anomalies and contradicting evidence. Not to mention the obvious plants of evidence like hijacker passports in the WTC and other wreckage. Lastly, military operation Able Danger identified several al-Qaeda connections inside the US as early as December 1999, including Atta and other alleged 9/11 hijackers; however, the operation was shut down by senior military officials and lawyers who also prevented the unit from sharing the valuable information with the FBI for reasons that were wrong and inaccurate. Although the facts and evidence around the many hijacker anomalies and falsehoods are very detailed and complex and beyond the scope of this paper, following is a brief summary of some of the evidence suggesting the pilot hijackers were not what the US government said they were, and indicating that they may have been deep cover operatives (the Endnotes include references and links to sources with more detail). Mohammed Atta – Journalist and author Daniel Hopsicker did very good investigative work around Atta when he interviewed various individuals who came across Atta; and found that Atta’s real life persona was nothing like the portrait painted by the FBI and the 9/11 Commission. In his book, “Welcome to Terrorland,” Hopsicker found among other things that Atta drank alcohol and ate pork (against Muslim beliefs), did drugs and partied heavily, slept with strippers, and spoke Hebrew. This is not the behavior of a devout Muslim who is planning to kill himself and then hopes to go to heaven and be greeted by 99 virgins. If Atta was not the Muslim extremist who believed deeply in his faith, as the US government made him out to be, then who was he? Atta came from an upper middle class Egyptian family and was fluent in 5 different languages, including English, despite supposedly never having spent any time in an English-speaking country before 9/11. Ziad Jarrah – Jarrah came from an affluent Lebanese family and by just about all accounts, was a non-political non-devout Muslim brought up in private Catholic schools. Ziad’s two Lebanese cousins, Ali and Yusef Jarrah, were confessed and convicted spies for Israel. Although the February 2009 New York Times stated, “the men [Ziad and Ali Jarrah] were 20 years apart in age [actually 16] and do not appear to have known each other well,” it is apparently a subjective statement that is not based on any specified fact. On the contrary, an October 23, 2001 article in the Los Angeles Times indicates that the cousins came from a “close-knit family” and that Ziad spent lots of time at the cousins house in Marj, as Ali’s apparently younger brother, Salim Jarrah, was Ziad’s age. Marj is a small town in the agricultural Bekka Valley area of Lebanon where Ali had been a spy for Israel since around 1983. As it appears that Ali helped recruit his brother Yusef as a spy for Israel, it is likely that he could have done the same for his cousin Ziad. The contradictions and discrepancies with the official story concerning Jarrah are revealing and significant. An excellent and well referenced article by Paul Thompson in Sept. 2002, entitled “The Two Ziad Jarrah’s” shows that there were two similar looking Ziad Jarrah’s in different places at the same time on several occasions and that Ziad’s real life persona was also nothing like the one portrayed by the 9/11 Commission. Thompson also shows many timeline discrepancies in Jarrah’s alleged travels and activities and that a slew of people who knew him best said he never exhibited devout Muslim tendencies nor did he ever express extremist ideology. Ironically, the 9/11 Commission’s sole support for Jarrah’s radicalization comes from a July 2002 classified German intelligence report. The only noted source in the 9/11 Commission report on Jarrah’s Islamic radicalization comes from his girlfriend, Aisel Senguen, whose earlier statements in the press (as pointed out by Thompson) contradict statements attributed to her by the Commission. Marwan Shehhi – Shehhi was Atta’s right hand man and shadowed him in the US for the 15 months before 9/11. He was also in the military of the United Arab Emirates (a US ally) while attending school in Hamburg from 1996 to 1999. Atta, Jarrah, and Shehhi allegedly went to Osama Bin Laden’s training camp in Afghanistan in December 1999 and met OBL for the first time. According to the 9/11 Commission, the speed with which OBL chose the three for the 9/11 operation was remarkable. Why did OBL so quickly choose three unknowns he had just met for the biggest and most complex terrorist operation in history, or could the three potential deep cover operatives actually have proposed the 9/11 plans to him? Was this “choice” actually a fictitious part of the official story of 9/11 intended to portray OBL as the culprit? Hani Hanjour – Saudi pilot hijacker Hani Hanjour arrived for a second time in the US in April 1996, the exact month and year that Jarrah and Shehhi went to Hamburg, suggesting the deep cover operation may have begun as early as then. Although Hanjour was the most experienced of all the pilot hijackers, he was not allowed to rent a single-engine Cessna airplane several weeks before 9/11 because the instructors, after taking three test flights with him, judged his flying skills too poor. However, the plane Hanjour allegedly flew on 9/11 (Flight AA 77 targeting the Pentagon) executed a very difficult turn and descent that reminded observers of a fighter jet maneuver, with one air traffic controller commenting, “The speed, the maneuverability, the way that he turned, we all thought in the radar room, all of us experienced air traffic controllers, that that was a military plane.” Hanjour’s sophisticated flying maneuver on 9/11 is contradicted by all the other information corroborating his poor flying skills. The fact that Zim probably had at least six months foreknowledge of the specific attack date would suggest they probably had foreknowledge of the entire 9/11 operation. Indeed, even the alleged 9/11 hijackers did not start making their 9/11 flight reservations until Aug. 25, 2001. However, Zim’s 9/11 connections do not end with their timely move-out of the WTC or with their known support and cover for Israeli intelligence (with its history and means of false flag attacks against the US). Zim also happened to be a tenant in a building that was most likely taken down by controlled demolition and there is evidence linking explosives to other Israeli groups in the NY/NJ area. Coincidently, the owner of all three WTC towers that came down crashing down in controlled demolition style on 9/11, Larry Silverstein, was friends with three ex-Israeli Prime ministers, including Benjamin Netanyahu, to whom he was speaking weekly with at the time. An in-depth investigative report In December 2013 by this author on the “Celebrating/Dancing Israelis” shows that the FBI detected explosives in the Israelis’ van when they were apprehended on 9/11. Although the FBI analyzed explosive samples taken from the Celebrating Israelis’ (CIs) vehicle, the lab results were never revealed in the FBI investigative documents, and were curiously still pending about two weeks after they were taken. There is no rational or explainable reason for the FBI not to have completed the explosive tests in this timeframe and the most logical reason for the FBI not showing the results is because the van tested positive for explosives. The CIs happened to work for an Israeli-related moving company in the NJ/NY area, Urban Moving Systems (“UMS”), which was also apparently searched for explosives two days after 9/11 (There were also at least three other Israeli-related moving companies in the immediate area with one under investigation by the FBI in conjunction with moving one of the hijackers. )Coincidently, CI Yaron Shmuel worked for an Israeli explosives company after 9/11, which suggests he may have had a background in explosives. In addition, five of fourteen Israeli Art students, or 37 percent, who provided their Israeli military backgrounds to US investigators worked in explosive ordnance units. Thus, Israel had the expertise and human resources in the US to wire the WTC’s for demolition and the moving companies to help transport the explosives and devices. It just so happens that at least two of the CIs were Mossad operatives and were involved in other US counterintelligence investigations according to various media sources. The New York Times noted that the FBI even suspected the CIs of assisting the hijackers. Several news agencies also reported that UMS was an Israeli intelligence front company. The owner of UMS, Dominik Suter, fled back to Israel on Sept. 14, 2001 after being questioned by the FBI two days earlier. In May 2002 the names of Suter and his wife appeared on an FBI 9/11 Watch List Report, which included among others, OBL, Khalid Sheikh Mohammed (“KSM”), all 19 hijackers (why if dead? ), and 15 Arab individuals from Hamburg. Out of over 300 names, those of Suter and his wife are two of just a few that are not Arab names. This author’s investigative report showed that there was an obvious FBI cover-up in the investigation and that the CIs had foreknowledge of the attacks and that the CIs and other Israelis were probably more deeply involved in the 9/11 operation. Given the CIs and UMSs various connections to Israeli intelligence and explosives, and Zim’s known support and cover for Israeli intelligence, there is the possibility that the explosives used to take down the three WTC towers were manufactured in Israel and imported to the US on Zim ships. Coincidently, Zim’s main NY/NJ shipping port on 9/11 was Red Hook Port (“RHP”) in Brooklyn, which is a mere 3-mile drive to the WTC and by far the closest and most conveniently accessible to the WTC of the four NY/NJ area ports. However, RHP is also the smallest (less than 4% of total NY/NJ port volume) and most logistically inferior of all the ports with no rail or air service and poor highway access. A December 1996 New York Times article noted that RHP excels in “specialized cargoes” and products that can be uploaded quickly and delivered to the immediate New York City area at night. Although Zim received New York City tax credits in conjunction with the move to RHP, no other large international shippers like Zim appear to have chosen the small and inefficient RHP as their primary NY/NJ port. Zim is not at RHP now, and they may have moved out as early as November 2002. March 1996 – Zim Shipping extends its lease at the WTC to February 28, 2006, locking itself into a long 10-year lease obligation with no apparent concern for high leasing costs (see above). April 1996 – Alleged pilot hijacker Ziad Jarrah arrives in Greifswald, Germany, and Marwan Shehhi moves to Hamburg (Jarrah moves to Hamburg around September 1997). April 1996 – Alleged pilot hijacker Hani Hanjour moves to the US for seven months. Hanjour will have several stays in US and allegedly come back for the last time in Dec. 2000. November 1996 – Zim Shipping transfers its NY/NJ port operations from the area’s most modern and busiest port of Port Elizabeth to the much smaller and logistically inferior Red Hook Port. April 1997 – The likely Israeli intelligence front company Urban Moving Systems is incorporated. November 1999 – Zim renews its Red Hook Port contract with the City of New York, probably for the same three-year period as in the original contract. December 1999 – Zim claims that they started looking for a new office location; although there is no other evidence to support this claim. Around October 1999 – UMS moves from a personal residence into its Weehawken office. Beginning of 2000 – Israeli Art Student activity begins in the US. Beginning 2000 – Hijackers Khalid Mihdhar and Nawaf Hazmi enter the US and move to San Diego. At least two of the CIs apprehended on 9/11 were under investigation in relation to other US counterintelligence investigations including one in San Diego. It has been well documented that certain Israeli groups had very close geographic and timeline connections to the three Southeast Florida 9/11 hijacker cells and the one in Paterson, New Jersey. The largest concentration of Israeli Art Students just happened to be located in Southeast Florida where the largest concentration of 9/11 hijacker cells were located. The Paterson hijacker cell was in very close proximity to the CIs, UMS, and at least three other Israeli-related moving companies in that immediate area. Zim’s WTC location was 25 miles from the Paterson cell’s apartment and Zim also has an office in Miami about 25 miles south of the hijackers’ main area of Hollywood, Florida. Coincidently, the pilot hijackers spent time in 8 of the 11 US cities where Zim had offices on 9/11, also including Atlanta and Savannah, Georgia, Jacksonville, Florida, Chicago, and Los Angles. There is no obvious explanation for Jarrah’s two trips to Jacksonville and Atta and Shehhi’s stay in Brunswick, Georgia just happened to be approximately 75 miles between Savannah and Jacksonville. Another critical area of activity for the alleged 9/11 hijackers was Hamburg, Germany. Hamburg was home to three of the pilot hijackers who had been living there since at least 1996 and where the 9/11 plans allegedly started to take form around early 2000. Coincidently, one of Zim’s four worldwide offices is in Hamburg, giving them a significant presence in two of the three areas most crucial to the alleged hijackers and the 9/11 operation (New York and Hamburg). In addition, 8 of 17 (44 percent) Israeli Art Students with known embarkation cities came to the US from Frankfurt, Germany in late March 2001. Also, CI Yaron Shmuel just happened to hold a German passport. Unfortunately, it is not known if, when, and where, Yaron Shmuel lived in Germany and if he had any potential connections to the Hamburg cell. In its investigation of the CIs, the FBI did not check with German intelligence to determine if Shmuel lived in Germany and if he may have had any association with the alleged Hamburg cell. Zim also had another of its four German offices in the river port city of Dusseldorf, a city which pilot hijacker Ziad Jarrah visited at least six times from October 2000 to August 2001. The story is that Jarrah had a German-born girlfriend of Turkish descent in the Dusseldorf area (Bochum), and that is why, in the midst of the allegedly most sophisticated terrorist operation of all time (that would lead to his death); he visited her regularly in the year before 9/11. Jarrah’s girlfriend, Aysel Senguen, may have been a cover story similar to that of Israeli operative Johann Lotz, who married a German woman (while still being married to an Israeli woman) in order to establish his deep cover identity/legend while part of an Israeli intelligence operation. Between three of his trips to Dusseldorf Jarrah also visited Lebanon, a country bordering Israel and the home of his family, including his two cousins who were spies for Israel at the time. Jarrah’s travels during this time period also included stopovers in cities where Zim had other offices, including Hamburg, Munich, Athens, Newark/New York, Atlanta, Jacksonville, and Miami. Lastly, Jarrah inexplicably visited the city of Thessaloniki, Greece (May 16 to 22, 2000), a month before coming to the US, another city where Zim has an office. Dusseldorf and other cities may have been “debriefing” locations for Jarrah. Ziad’s Israeli spy cousin, Ali Jarrah, was debriefed by his Israeli handlers in Belgium, Italy, and Israel, and who also obtained travel documents to Israel from Greece, Turkey, and Jordan. Zim has offices in Belgium, Italy, and Greece, and Ziad Jarrah travelled to Greece and Jordan, and had a stop-over in Istanbul on Dec. 26, 2000 before continuing on to Lebanon the next day (per FBI Hijacker Timeline). November/December 2000 – The number of Israeli Art Student incidents increase at this time and continue through at least June 2001. December 2000 – Hamburg pilot hijackers Atta, Jarrah, and Shehhi spend their supposed first time in the Southeast Florida area which is the area of the largest concentration of Israeli Art Students. December 2000 – Pilot Hijacker Hani Hanjour re-enters the US for the last time. March 2001 – Zim enters into a fast track development contract to guarantee completion of its Norfolk office building by Sept. 4, 2001 (see above). Zim probably started its due diligence and negotiations of the development project a couple of months before. March 2001 – At least eight Israeli Art Students enter the US in Dallas from Frankfurt, Germany (see Endnote 81). April 2001- Alleged hijacker cells headed by Atta, Jarrah and Shehhi begin to be set up in the Southeast Florida area. May 2001 – An alleged hijacker cell headed by pilot hijacker Hanjour is set up in Paterson, New Jersey. Alleged hijackers Khalid Mihdhar and Nawaf Hazmi are also members of this cell. May to July 2001 – Four of the five CIs start working at UMS and appear to enter US around this time. At least one, and possibly two CIs, had round trip air tickets coming from Israel to Newark on June 15, 2001 and returning Sept. 12, 2001, suggesting at least three months foreknowledge of the specific attack date. The other four CIs also had air tickets leaving the US immediately after Sept. 11th, suggesting not just foreknowledge, but probable involvement in the 9/11 operation. May to 9/11 (approximately) – Employment at Urban Moving Systems increases. July 2001 – Saudi hijacker Khalid Mihdhar re-enters the US for the last time..
July/August 2001 – UMS inexplicably rents a second warehouse in Bayonne, New Jersey, next to Port Jersey, which is several miles south of the WTC and the second closest NY/NJ port to it. July 2001 – Alleged Zionist and Israeli-connected Larry Silverstein closes on the acquisition of WTC Towers 1 and 2. Zim America’s president, Shaul Cohen-Mintz, was quoted in the Journal of Commerce on October 18, 2001: “Naturally, no one is debating any more whether we had to move or not… Some people said it [the move] was like an angel sitting on our shoulders.”  Unfortunately, Zim’s move had a lot less to do with an angel and divine intervention than with giving the devil his due, with the devil wearing the Star of David while waving the Zim Shipping flag. And the debate now is not whether Zim had to move — they knew they had to — but how much foreknowledge Zim had and how deeply they may have been involved in the 9/11 operation. The evidence presented in this article shows that Zim most likely had six months or more foreknowledge of the 9/11 attack date and was probably more deeply involved in what was almost certainly a false flag operation. The evidence further suggests that at least two pilot hijackers (Atta and Jarrah), and possibly all four, were probably deep cover operatives, put in place as many as five years in advance to establish identities and backgrounds (legends) of Islamic extremists. The evidence in this article has also touched on the many anomalies and contradictions involving the official story around the 9/11 hijackers and the alleged plans of the 9/11 operation between the key parties of OBL, KSM, and the pilot hijackers. Indeed, an overwhelming amount of the US’s evidence on the 9/11 plans relies on testimony garnered from torture, and that is probably why KSM, Ramzi Binalshibh, and others still await trial more than 10 years after being apprehended. Given Israel’s known history and practice of utilizing Arabs in deep cover intelligence operations, coupled with the atrocious and poorly transparent US investigations of the 9/11 attacks, it’s naïve and even ignorant to disregard the likelihood that some or all of the 9/11 pilot hijackers were used in a deep cover covert capacity by Israel. Israeli undercover intelligence officials working for Zim, UMS, and other Israeli groups in the US on 9/11 could well have been handlers for the hijackers or protected them from arrest, or even assisted them in the operation as once suggested in the New York Times on Sept. 13, 2001. The evidence presented in this article clearly points in this direction. Zim Integrated Shipping Services Website, www.zim.com/aboutus/pages/factsandfigures.aspx. Zim was in transition from its America’s headquarters at the WTC to its new office in Norfolk, VA.
Miriam Shaviv, “Zim Workers Saved by Cost Cutting,” Jerusalem Post, September 13, 2001. See also Endnotes 3 and 16 which confirm that Zim occupied the entire 16th floor. Although there were several articles that had Zim moving into their Norfolk office between one to two weeks before 9/11, this article and most of the others stated Zim moved in a week before 9/11. Christopher Dinsmore, “Firms Move to Norfolk Will Create 235 New Jobs, Shipping Company to Relocate Headquarters to Hampton Roads from New York City,” The Virginia Pilot, April 3, 2001. In addition to stating that Zim expected to open its new building by Sept. 4, it also states that a Zim official said the company started looking to move its headquarters in December 1999. However, there is no evidence of Zim looking for another office location prior to its decision to move to Norfolk. Peter Tirschwell, “Zim Opens New Headquarters,” The Journal of Commerce, October 18, 2001. Lore Croghan, “Real Estate Watch: Shipper Sights Land on Staten Island, Zim Building office for Displaced Staff, Engineering Firm Stays Downtown (Moves to Staten Island, Escaped the Islamic Terrorist Attack on WTC,” Crains New York Business, November 19, 2001. Christopher Dinsmore, “Shipper Left World Trade Center for New York Just Before Attacks,” Knight Ridder/Tribune Business News/The Virginian Pilot, October 26, 2001. The above two articles show that Zim had 35 sales and marketing people and computer personnel remaining at the WTC on 9/11. Zim claimed to have only 10 (uninjured) people at the WTC on 9/11, approximately 25% or less of its remaining staff — perhaps the expendable gentile staff that was not being transferred to Norfolk. “Hunter is Representative for Zim Relocation,” Real Estate Weekly, April 25, 2001. “Fast tracking” a real estate development means to compress standard design and construction procedures and timelines in order to meet the owner’s schedule to use the structure. In a project of this type, time is of the essence, and project processes that would normally run in sequence must be run in parallel. Following is a good summary of what fast tracking a project requires and then Wikipedia’s basic definition. This author was a commercial real estate lender in a prior life and I could say through experience that the typical development/construction period for a 50,000 square foot office building would be 12 to 18 months depending on the status of the land and permitting approvals. The construction loan period would coincide with this development period. “Fast track” construction/development is used when someone needs a building to be completed quickly; however, there are more construction and design risks when this methodology is used. Following is an example of a construction timeline for a 3-story 75,000 square foot building which is approximately twelve months. Phil Jayhan and the Letsrollforums.com website appear to have misunderstood the tenant roster. They believe the tenant list goes all the way back to 1972; however, it appears to be the tenant roster as of the Sept. 11, 2001 collapse date of the towers. Alice Lipowicz, “Zim American Ships Itself Out of NY, New Headquarters in VA will Cut Costs, Move Means Layoffs,” Crain’s New York Business, April 9, 2001. Zim’s remaining WTC lease obligation is calculated at 60,000 square feet of office space, multiplied by $30 per square foot per year rental rate, multiplied by fifty-four remaining lease months, or $8.1 million (i.e., $30/12 X 54 X 60,000 = $8,100,000). When the Iranian students captured the US embassy in Tehran in November 1979, a multi-volume CIA and State Department file was found which included a March 1979 CIA Assessment of Israeli intelligence. The Washington Post and Boston Globe ran articles relating to the documents in early 1982, with the reputable but now defunct CounterSpy Magazine publishing the entire report in May-June 1982. (The Washington Post ran another article in May, 1991.) The CIA report is very detailed and provides a summary of each of Israel’s intelligence agencies, including Mossad, Shin Beth, Military Intelligence, and The National Police. Per the document’s “Comments on Principal Sources,” most of the information in the publication has been derived from a variety of sources including covert assets of the CIA, publications of the Israeli Government, and reports prepared by the US Department of Defense. It also lists 19 “Supplementary Overt Publication” sources. The link above is to a page on the Serendipity website which has the full CIA analysis along with an Introduction and Afterword from CounterSpy Magazine. The CounterSpy Afterword includes a discussion on the document’s authenticity, including an excerpt from former Mossad chief Isser Harel, who in a Ma’ariv interview called the assertions of the documents “malicious, dilettantish, distortions……but probably authentic,” and that the publication of the document had been a nightmare for him. The “Hostage-Holding Motivations” section discusses the CIA’s Assessment of Israeli Intelligence. David Ignatius, “Bungles, Bobbles and Spies; The Tehran Papers: Portrait of CIA in a Maze of its Own Design,” Washington Post, May 5, 1991. See Endnote 19. This quote is from the introduction of the Counterspy Magazine article exposing the CIA Assessment of Israeli Intelligence. One “deep cover” example was, Johann Wolfgang Lotz (aka Zeev Gur Arich), an officer in the Israeli Military who went undercover in 1959 as a former Nazi officer to infiltrate special weapons activity by German scientists in Egypt. After receiving training in Israel he went to Germany, married a German woman (while still being married to an Israeli), and surfaced as an East German refugee and former African Corps officer. Lotz then moved to Cairo (1960/61) and opened a riding academy where he made the acquaintance of a number of prominent and well-placed Egyptians. Lotz also made a number of trips to Western Europe for debriefing and was eventually caught and imprisoned in 1965 and sent back to Israel in 1968 in a prisoner trade. Another “deep cover” example was Eli Cohen, an Egyptian-born Jew who was involved in Israeli sabotage operations against American and British installations in Egypt in 1952. Mossad recruited Cohen for an illegal operation designed to develop intelligence networks and acquire political and military information in Syria. Cohen adopted the identity of the late Kamil Amin Thabet, a Syrian-born merchant, and emigrated to Argentina in 1961 where he became an active member of the Arab community. Cohen eventually returned to Syria in 1962 where he was assisted by two Arabs who had previously been recruited by the Israelis. He made numerous contacts with Syrian political and military personnel. In 1965 Cohen was caught in Syria, convicted of spying and hanged. Mohammed Atta went to Hamburg, Germany, in 1992 to attend school, and Ziad Jarrah and Marwan Shehhi both moved to Hamburg in April 1996. According to the 9/11 Commission Report (Section 5.3), it was in Hamburg that the three pilot hijackers allegedly became radicalized fundamentalists. “2/14/2008: Newly Released FBI Timeline Reveals New Information about 9/11 Hijackers that was Ignored by 9/11 Commission,” Historycommons.org, February 14, 2008. Although it is believed that one of the hijackers on the Suncruz gambling boat was Mohammed Atta, the FBI took the ship’s video and did not disclose the suspects’ names. The FBI Hijacker Timeline does not show any hijackers being on a Suncruz boat on this date or even being in the Tampa area from where the boat departed. Daniel Hopsicker, “Mohamed Atta and the Venice Flying Circus (Video Documentary),” August 15, 2002. Dr. Ashraf Ezzat, “9/11 Hijacker Mohamed Atta & the Unreported Story,” Veteranstoday.com, Sept. 10, 2010. Hopsicker, “Mohamed Atta and the Venice Flying Circus.” A number of people interviewed by Hopsicker state that Atta was fluent in English despite allegedly never having lived in an English-speaking country. Hopsicker provides evidence that Atta attended a US military school in Montgomery, Alabama, and additional evidence uncovered by a military operation Able Danger indicated that Atta and several other hijackers may have spent time in the US before the FBI has them coming to the US. Robert Worth, “Lebanese in Shock Over Arrest of an Accused Spy,” New York Times, February 18, 2009. Although this article does not specifically state that Ziad and Ali Jarrah are cousins, other information in the article makes it apparent that they are and that they’re from a close-knit family. Salim Jarrah is clearly Ziad’s cousin and is from the small Lebanon town of Marj/Maraj, the same town Ali and Yusef Jarrah are from. The article also suggests that Ziad’s father Samir Jarrah, and Salim’s father Nesim Jarrah, are the only two male siblings in Lebanon, indicating Nesim must thus be the father of Ali and Yusef. There’s no evidence to suggest that Ali and Yusef Jarrah are not the sons of Nesim Jarrah or brother of Salim Jarrah, and that Samir or Nesim have another brother in Marj. This article also points to many discrepancies of the character and events of Ziad Jarrah compared to the information provided by the US government. Paul Thompson, “The Two Ziad Jarrahs,” Historycommons.org, September 2002. This article was written approximately one year after 9/11 and also points to the many discrepancies and contradictions around Ziad Zarrah timeline events and character. The article shows several instances where there was evidence of a similar looking Ziad Jarrah in two places at the same time. Thus, there was obviously an imposter Ziad Jarrah who appears to have been established as part of the 9/11 deep cover operation. The 9/11 Commission Report, Section 5.3, page 163 and Endnotes 77 to 79. All the radicalization information regarding Jarrah in the 9/11 Commission Report comes from a secret German Intelligence report dated July 2002. It appears that Jarrah’s radicalization information comes from various witnesses with the only noted source being Jarrah’s girlfriend, Aisel Senguen. The 9/11 Commission Report, “The Hamburg Contingent,” Section 5.3, page 166. Per the 9/11 Commission Report, Khalid Sheikh Mohammad allegedly gets the green light from OBL to go ahead with the 9/11 operation in late 1998/early 1999 and planning for the operation began in earnest (Section 5.3, page 149-150). The sole evidence for this fact is the interrogation of KSM who is a known braggart and was allegedly waterboarded 183 times. Anyone who has done any research on the WTC collapses knows that the facts and evidence for controlled demolition of all three WTC towers that collapsed in typical controlled demolition style on 9/11 is significantly stronger than the evidence (for collapse due to the plane impacts) provided by the government’s investigation (the NIST Investigation). 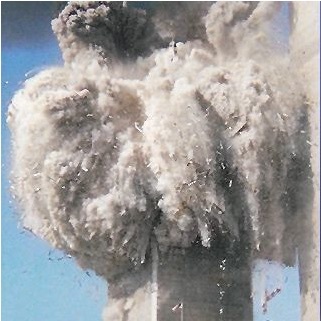 Although controlled demolition is also the author’s opinion, the evidence for this is beyond the scope of this article. Sara Liebovich-Dar, “Up In Smoke,” Haaretz (Israel), November 21, 2001. Larry Silverstein was the owner of all three WTC towers that collapsed in typical controlled demolition style on 9/11. Silverstein completed his purchase of WTC Towers 1 and 2 on July 24, 2001. He is close friends with several Israeli prime ministers and once offered ex-PM Ehud Barak a job as his representative in Israel. 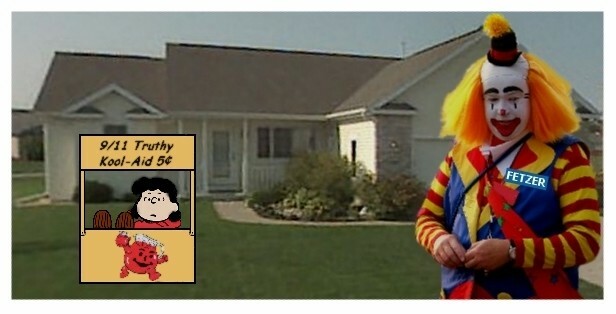 Benjamin Netanyahu would actually call Silverstein every Sunday afternoon. It made no difference what the subject was or where Netanyahu was, he would always call, Silverstein told an Israeli acquaintance, with their ties continuing after Netanyahu became prime minister. Many Israeli politicians are acquainted in one degree or another with Silverstein, who for 10 years tried to establish a “free-trade” zone in Negev, Israel, until the project fell apart in mid-2000. According to one Israeli official, “Silverstein presented a Zionist aspect” (to the development). Silverstein has various other ties to Israel as well, including being a fundraiser for and donor to Tel Aviv University and the Tel Aviv Development Foundion. The subject is an in-depth investigative report on the Celebrating/Dancing Israelis and other Israeli groups. The report is extremely well referenced with 138 references/endnotes and over 170 direct references to an FBI investigation that are included in the body of the report (Note: references to the FBI investigation documents are noted by FBIR, followed by the section and page number (e.g., FBIR_S1PP5-8). Thus, the subject investigative report will be used as a reference for this article. Marc Perelman, “Spy Rumors Fly on Gusts of Truth: Americans Probing Reports of Israeli Espionage,” The Forward, March 15, 2002. http://whatreallyhappened.com/WRHARTICLES/israelis_9-11.htmlThe Forward of New York is a reputable newspaper and the oldest Jewish-American newspaper in the United States. The May 22, 2002 Post-9/11 Watch List Report can be found at Antiwar.com, which the FBI put under investigation for publishing the list online. Although the FBI investigated Antiwar.com in connection with its publishing the watch list, the FBI did not state why Dominik Suter and his wife appeared on the list. The FBI’s Post-9/11 Watch List can be found at the Antiwar.com website: www.antiwar.com/justin/CI-08-02.pdf. The article states that Zim announced it would shift much of its business to Brooklyn from New Jersey, and that “Zim is transferring its North and South American freight traffic to the Red Hook Marine Terminal from Port Elizabeth.” Zim’s shipping partner, Pan American Lines, is at Red Hook Port at this time. David Rhode, “Shipping Deal Promises Jobs,” The New York Times, December 8, 1996. Zim received up to $1.1 million in New York City tax credits over the 3-year contract term, contingent on the volume of containers Zim brings to RHP (see previous two Endnotes/articles). Zim and Pan American are not at RHP now as shown by the following East/Gulf Coast Overview garnered from the Port Authority Website: http://www.maersk-nam-marketing.com/advisories/wp-content/uploads/2012/12/East-Gulf-Ports-Overview-12_20_12.pdf. Zim’s original contract at RHP was from Nov. 1996 to 1999 and was renewed in 1999 (see Endnote 70). The renewal was probably for another 3-year period, and there is no evidence that Zim renewed beyond the likely Nov. 2002 contract expiration date. Keith Maart, Ibid., Section B8, “Geographic and Timeline Nexus’ of CIs/Israeli Groups and Hijackers in NY/NJ Area”, http://israeli-connections-to-911.com/section_b.htm#b8 See “The Potential Brooklyn Connection” in the above Section B8 for further detail of the geographic connections between RHP, CIs, Moishes Moving, and the Red Hook area rental trucks at UMS after 9/11. The 9/11 Commission Report (Section 5.3, page 166) states that Atta, Jarrah and Shehhi attended Osama Bin Laden’s Afghanistan training camp in Dec. 1999/Jan. 2000 where they met OBL for the first time. According to the report, “In retrospect, the speed with which Atta, Shehhi, Jarrah and Binalshibh became core members of the 9/11 plot – with Atta designated as its operational leader – is remarkable… Bin Laden and Atef wasted no time in assigning the Hamburg group to the most ambitious operation yet planned by al-Qaeda.” None of the above hijackers’ travels to Afghanistan, or to other countries allegedly traveled to in order to get to Afghanistan, are supported by the FBI Hijacker Timeline. Although there are heavy FBI redactions during this time period, there should be no logical reason for the FBI to redact it since it supports their statements. The 9/11 Commission Report’s evidence on Atta, Jarrah and Shehhi’s travel to Afghanistan appears to be based solely from the interrogation of Ramzi Binalshibh (see Section 5, Endnote 91). Binalshibh has exhibited significant mental disorders since his capture in 2002, including schizophrenia and bipolar disorder and his testimony should be questionable. The following two articles discusses some of Binalshibh mental disorders with the second article stating that two CIA officials said Binalshibh mental problems started almost immediately after his capture in 2002 and worsened over time. “911 Interrogation Tapes Found Under Desk,” MSNBC.com and NBC News, August 17, 2010. Zim’s original contract at Red Hook Port was for the 3 years from November 1996 to November 1999 (see Endnote 60), and this article states that the contract was renewed. Although the renewal period is not stated in the article, it was probably for another 3 years. There is no evidence that the contract was extended beyond its first renewal period of November 2002. Urban Moving Systems original address is 312 Pavonia Ave, Jersey City, NJ, which was owner Dominik Suter’s personal residence at the time. A UMS employee is cited for a traffic violation in October 1999, which is the first time the Weehawken, NJ, UMS address is known to have been used. This information is also per the June 2001 DEA Memo relating to Israeli Art Students. Per the 9/11 Commission Report and FBI Hijacker Timeline, hijackers Mihdhar and Hazmi enter the USA in Los Angeles on Jan. 15, 2000. 06/27/00: Ziad Jarrah flies from Frankfurt, Germany, to Atlanta (allegedly entering the US for first time). It appears he then goes on to the Venice, FL, area sometime after this date. 10/07/00: Jarrah flies from Atlanta to Frankfurt and continues on to Dusseldorf, Germany. Jarrah’s reason for flying in and out of Atlanta is unknown, as he appears to spend most of the time after his arrival on 6/27/00 in the Venice, FL, and Southeast Florida areas. 01/25/01 to 02/18/01: Atta and Shehhi stay in the Atlanta area in Norcross, Lawrenceville, Decatur and Stone Mountain, GA. They appear to take flying lessons in the area and then drive to Norfolk/Virginia Beach area on Feb 19, 2001 where Zim has an office. 03/15/01 to 03/31/01: Jarrah stays at a hotel in Decatur, GA, until around the end of March, 2001. 04/13/01: Jarrah flies from Dusseldorf to Atlanta. Not clear how long he stays in Atlanta and why. 11/03/00: Atta and Shehhi purchase jet fuel at airport in Brunswick, GA, approx. 75 miles south of Savannah. 11/03/00: Atta and Shehhi purchase jet fuel at airport in Brunswick, GA, approx. 75 miles north of Jacksonville. 01/26/01: Jarrah takes a flight from Jacksonville to Newark. Not known how long Jarrah was in Jacksonville before the flight or why he was in Jacksonville in the first place. 02/25/01: Jarrah flies from Dusseldorf to Jacksonville on 2/25/01 and stays at a Ramada Inn (no city provided until 03/04/01, but appears to have been Jacksonville area). It is not known why Atta flies to and stays in Jacksonville. 07/02/00: Shehhi flies from Chicago to Oklahoma City. It is not known how long Shehhi was in Chicago and why. Sheehi’s last location from the FBI Hijacker Timeline is in Brooklyn on June 25, 2000. 01/15/00: Hijackers N. Hazmi and Mihdhar enter the US and stay in Los Angeles area for several days before moving to the San Diego area. Although there is some question as to when the Hamburg cell got involved in the 9/11 plans, the 9/11 Commission Report alleges that four core members of the Hamburg cell (including pilot hijackers Mohammed Atta, Ziad Jarrah, Marwan Shehhi and Hani Hanjour) attended the al-Qaeda camp in Afghanistan in December 1999/January 2000 and were chosen for the operation at that time by Osama bin Laden. They then went back to Hamburg in January 2000 and started preparing for the operation (9/11 Commission Report, Section 5.3 – The Hamburg Contingent). Atta had been living in Hamburg since around 1992 and both Jarrah and Shehhi allegedly moved to Hamburg in April 1996. Keith Maart, Ibid., Section B.9, “FBI’s Nexus between the CIs and Israeli Art Students – Nationwide Israeli Operations on 9/11, http://israeli-connections-to-911.com/section_b.htm#b9This information came from the June 2001 DEA Memo relating to the Israeli Art Students. Per the DEA memo (Sections 45, 51, and 129), at least 8 Israelis entered Dallas from Frankfurt, Germany in late March 2001. Frankfurt appears to be a connector city for Lufthansa Airlines for flights from Hamburg to Dallas. “History of the Jews of Thessaloniki,” Wikipedia, http://en.wikipedia.org/wiki/History_of_the_Jews_of_Thessaloniki. Thessaloniki once had the largest Jewish population in Greece (93,000) and currently has the second largest behind Athens. The Subject article notes that Ali Jarrah was debriefed by his Israeli handlers in Belgium, Italy, and Israel. “Lebanese Report: Mossad Spy Visited Israel” Jerusalem Post, November 18, 2008. This Jerusalem Post article references a Lebanese al-Akhbar newspaper article that states Ali Jarrah would fly to another country such as Jordan, Egypt, Turkey, and Greece, where he would rendezvous with a Mossad agent and receive an Israeli ID card with which to travel to Israel. I'm stunned. It gives a person who has had a visit from an Israeli art student the thought that he was being queried to see if he would carry out a false flag bombing as a patsy. Frightening and chilling article. every parent should go over this with his 14-year old son/daughter. The kids today NEED to be prepared as who knows what is to come? Wiki/Zacarias_Moussaoui > hijacker #20, arrested by FBI on Aug 16, 2001, ordered not to be interrogated, laptop ordered sealed. Structural Engineering professor, Dr Leroy Hulsey has done finite element analysis of the NIST hypothesis on WTC-7 collapse, and proven false. I've just installed iStripper, so I can watch the sexiest virtual strippers stripping on my taskbar. DISCOVER How You Can Master Your Habits And Reprogram Your Subconscious Brain To Get Any Result You Want In Your Personal Development and Fulfillment! Online casino gambling games provocative. G club Online casino gambling site. Gambling games that investors can play and invest in fun. You just have to register at our site, you will not be disappointed at our site, it is a gamble for you to enjoy a lot. Gamblers interested in investing with our standard site, the player can use it today. The gambler will play simple with our online casino gambling site standard. The gambler will not be disappointed that we are open to the gambler. I got into a heated discussion soon after the event with someone posting on the Simpson newsgroup when I raised the issue of Israeli involvement in 9/11. As evidence, I pointed to Zim's breaching their lease and what it cost them. He denounced my even raising it as anti-Semitism. To prove me wrong, he actually contacted the company to find out their reasons for moving that would prove it was based purely on a business decision. Imagine my shock when he informed me that not only had the company breached its lease, but it had moved out of the Towers just before 911 and temporarily relocated to Queens for several weeks because their new facilities were not yet ready as of 911. That ended his efforts to prove me wrong after I pointed out to him that his findings fully confirmed my point of Israeli involvement as evidence by the Israeli company doing everything they could to get out of the building just before it was slated to come down that they had to know about for them to have initiated their departure into a fast-tracked building.